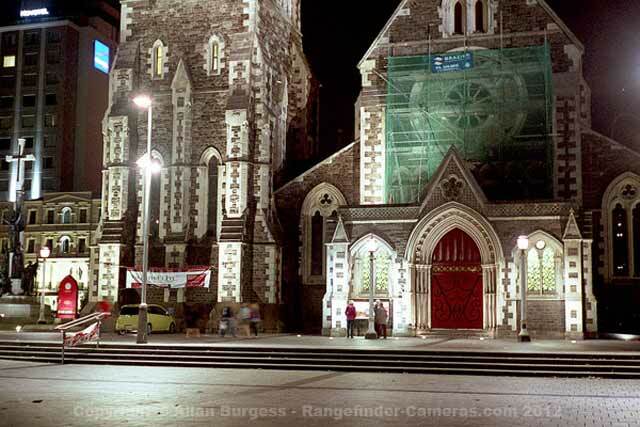 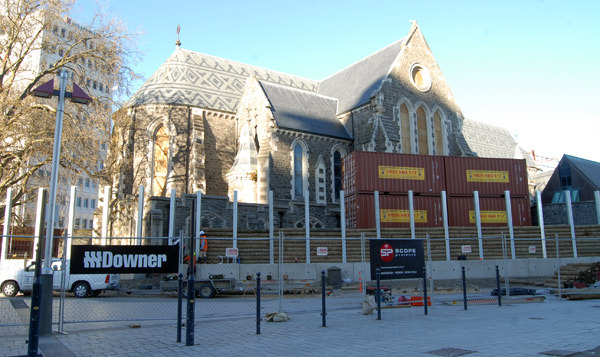 The cornerstone of the Anglican cathedral in the city of Christchurch was laid on the 16th of December 1864. 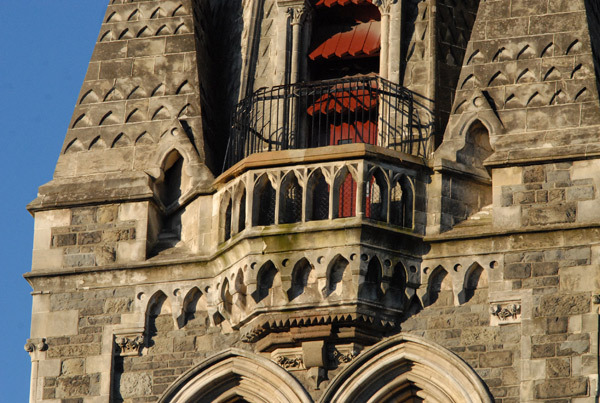 The transepts, chancel and sanctuary were not finished until 1904. 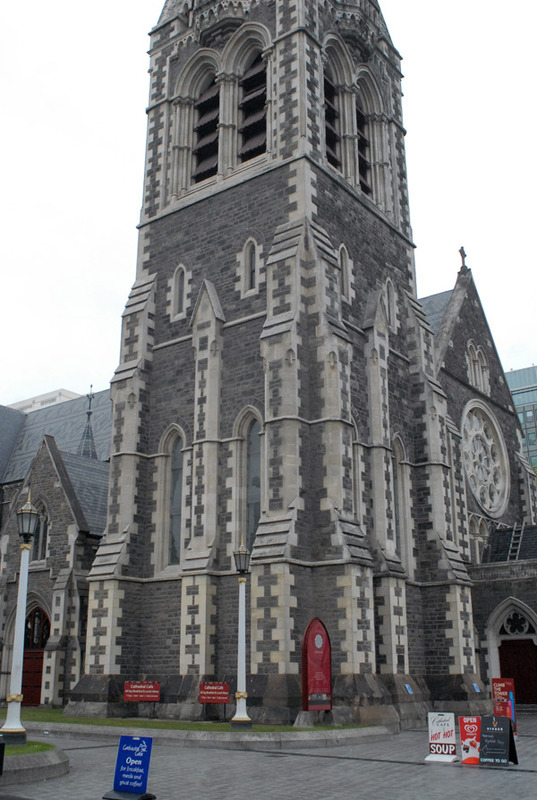 The cathedral spire stood 63 metres (207ft) tall. 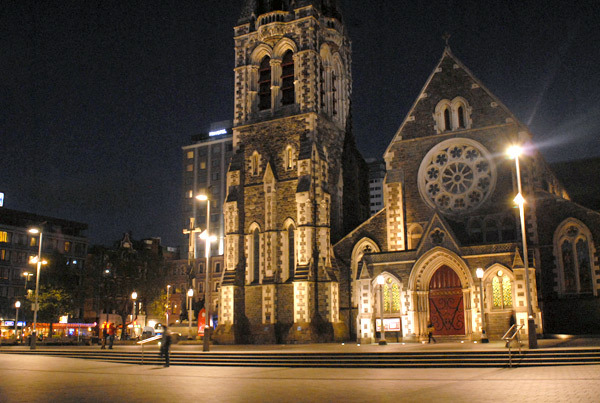 The building is located in the centre of the city, surrounded by Cathedral Square. 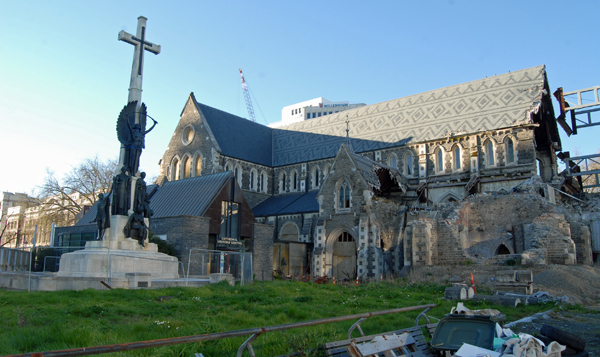 The first of the big earthquakes occurred on the 4th of September 2010. 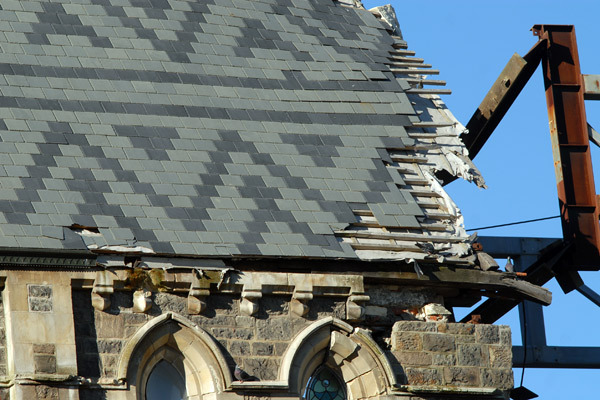 This caused some superficial damage. 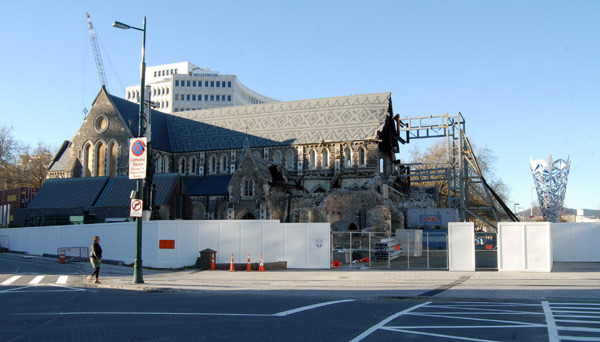 The cathedral closed but was reopened on 22 September 2010 when it was deemed safe after an inspection. 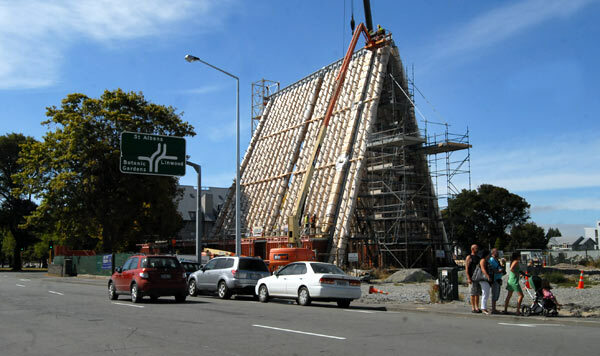 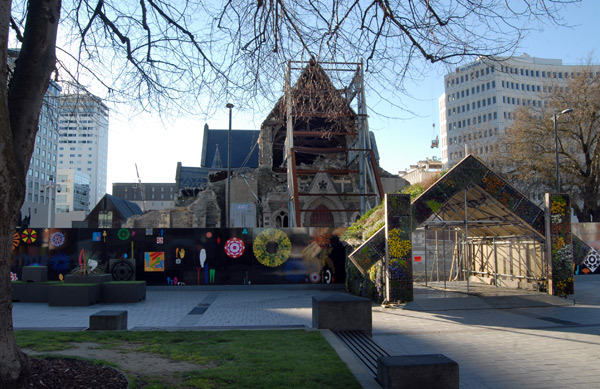 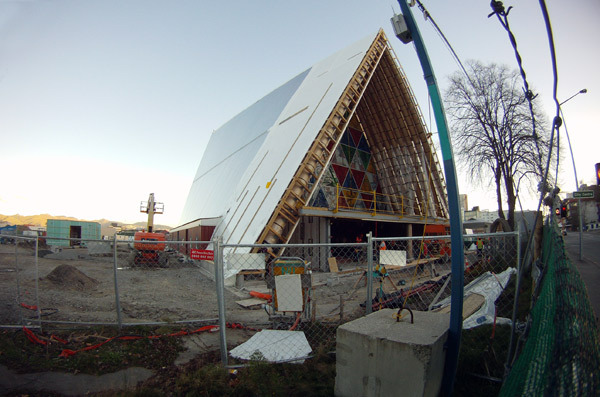 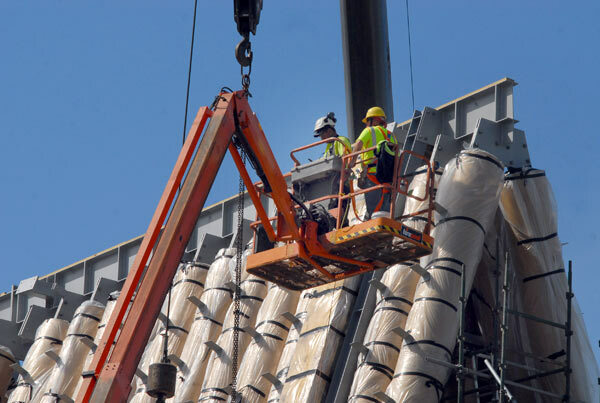 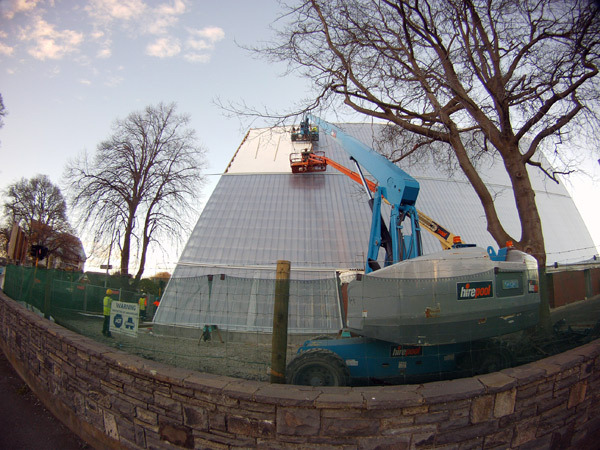 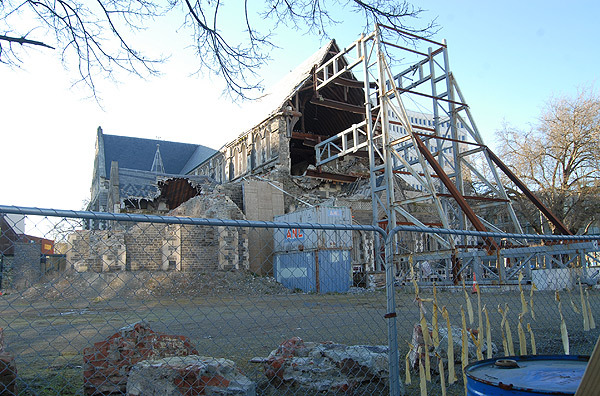 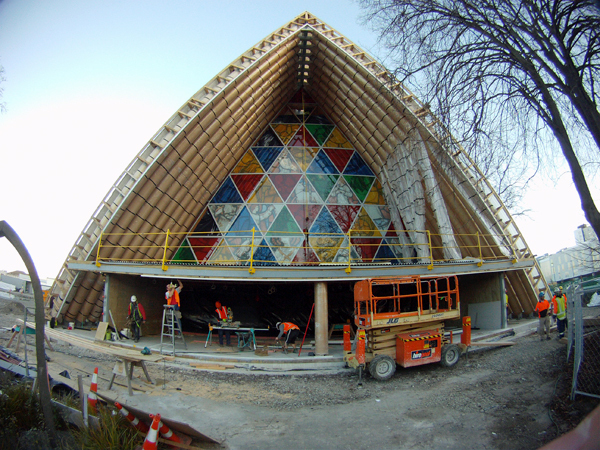 The massive 6.3 magnitude earthquake on 22nd February 2011 caused terrible damage to Christchurch’s much-loved cathedral with the spire being completely destroyed and much of the remainder the building severely damaged. 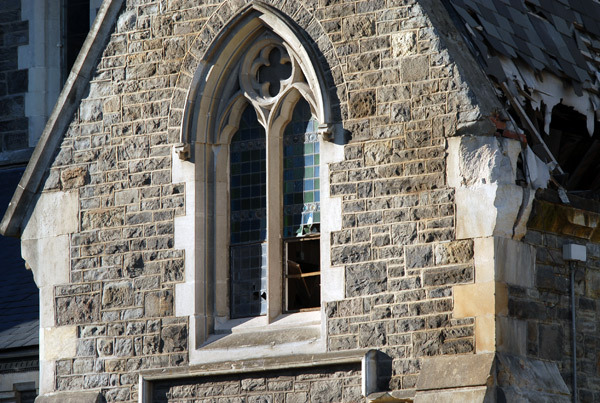 The building continued to suffer further damage during the shocks which followed.